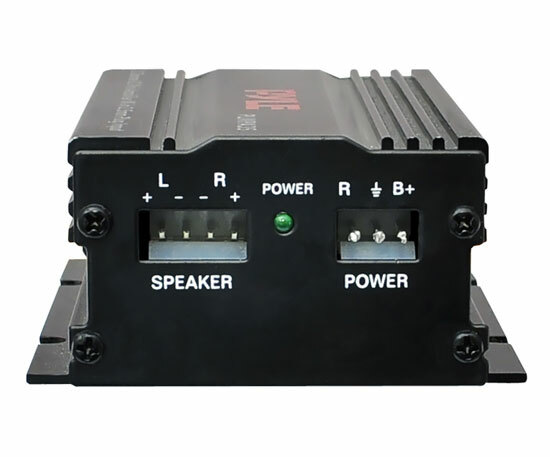 This 300 W mini-amplifier is a powerful solution for your trade show display. It easily allows you to pipe music to two speakers using a 3.5mm jack input -- so you can hook it up to your iPod, laptop, or any other digital music player. It's portable, mountable, and easy to conceal. 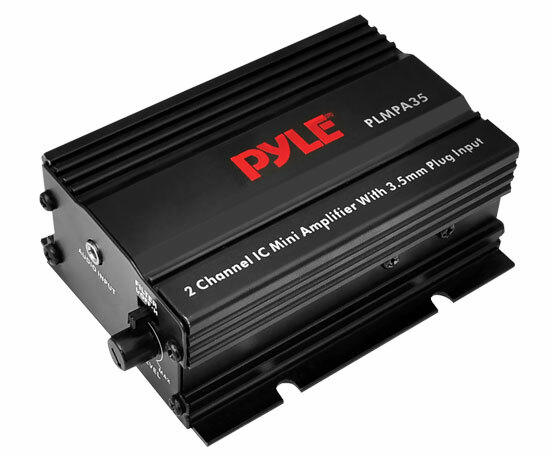 Requires 12 V DC.